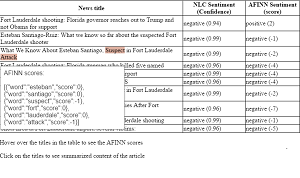 For the news items provided by the Alchemy API in Watson services one can see the difference in output by the Watson Natural Language Classifier and a simple implementation of a classifier using AFINN-111 scoreset, some word stemming and stop-word-removal. Please note: due to high load on the Bluemix PaaS the node might be offline. 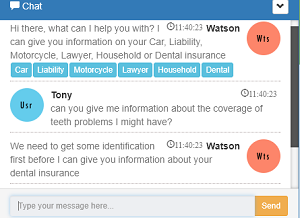 This chatbot has as it's goal to identify the client and provide relevant information for the client's inquiry about his insurance policy. This bot is also able to start a chat with an operator / human helper if requested by the client. 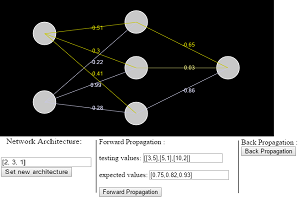 This is a visualization of an arbitrarily large neural network (defined by the network architecture). One can define training and testing values, and then perform forward and backpropagation and check the mean square error. Please note: due to high load on Heroku the dyno might be offline. I consider myself a self-taught programmer. Before becoming a teenager I discovered that one can define aliases in the mIRC Chat client which would replaces my text input to something different. In March of 2017 I participated in the #SIXHackathon where the team won second place. Our pitch is publicly available on YouTube. 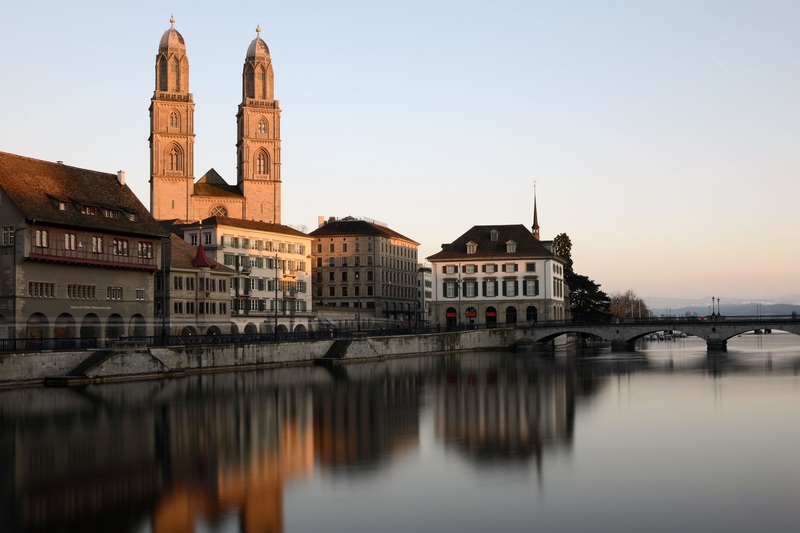 Sources: Header image, Footer image, Bootstrap template.